It is not obvious if the EU would lose or gain from a Brexit, writes Lorenzo Codogno. Judging from trade and investment flows, the divorce should have less of a negative impact on the rest of EU than on the UK. Some service sector businesses could potentially relocate to the EU, and the area could divert foreign direct investment from the UK. Financial market volatility, uncertainty, and loss of confidence in the EU project could pose a more immediate and severe risk. Moreover, there is a threat of serious political ramifications and a domino effect for the rest of the EU. A Brexit would bolster anti-Euro populist opposition parties, with potentially destabilising effects for the EU and the Euro Area. The American comedian and actor Groucho Marx once famously said, “Please accept my resignation. I don’t care to belong to any club that will have me as a member”. The very fact that the UK is a member of the EU club may make the EU less appealing. Why? The UK has always opposed further integration and any move towards fiscal and political union, de facto limiting the possibility for the EU to strengthen its institutional framework and maintaining ambiguity on what the EU stands for. The UK government has not been constructive on a number of initiatives aimed at strengthening the EU architecture and achieving stronger governance at the EU level, somewhat restricting also the Euro Area’s further integration. It decided not to take part in financial schemes developed to address the financial and economic crisis in some peripheral countries. On the other hand, the UK has always been a proponent of preserving and improving the single market for capital, goods and services, a strong supporter of market-based reforms, and a promoter of sound economic governance. This almost naturally has led to a two-tier EU: a core group of countries with a single currency pursuing ever closer integration leading, eventually, to fiscal and political union, and a larger circle interested mainly in maintaining free movement of capital, goods and services, which would include the UK, some Nordic countries, and a few others. The February deal between the EU and the UK has effectively undermined its fundamental principle by recognising that ever-closer union can be a multi-currency and multi-speed process that does not compel all Member States to aim for a common destination. This probably runs against the spirit, if not the letter, of EU Treaties. Consequently, would a vote in favour of a Brexit make this double stance more likely and lay the groundwork for a Treaty revisions? How would a Brexit affect the rest of EU? 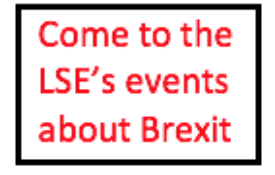 This note touches on the following aspects: (1) the economic impact of a Brexit through trade and investment links, confidence, uncertainty, and potential changes in business strategies, (2) potential effects on financial markets, and (3) potential impact on EU politics and possible Treaty revisions. Leaving the EU would create uncertainty for UK-based businesses that could decide to relocate part of their activities or at least open a subsidiary in the EU. Nothing would effectively change during the two-year interim period of re-negotiations. Yet, businesses would be willing to prepare themselves and hedge against possible unfavourable outcomes. However, it is not a zero-sum game. The rest of the EU would probably lose out as well since Brexit would send negative signals on the long-term viability of the EU project. It is not obvious that investment flows would move from the UK towards the rest of the EU. Moreover, the effect of uncertainty should not be underestimated. If it lingers until a revision of the Treaties, which is well possible, it may cause serious damage because UK businesses would have no choice but to devise contingency plans. The rest of the EU would probably attract some businesses willing to continue to have access to EU markets or hedge against the risk of losing it. The most important sector would probably be the financial industry. 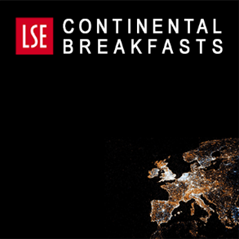 Nevertheless, London’s attractiveness as a European or global financial centre is unlikely to change substantially. The UK government would remain keen to preserve the interests of the financial marketplace, despite a likely less cooperative attitude from the EU. Skills and knowledge would remain in the UK. Overall, I would expect most financial institutions to continue to operate from London, possibly setting up or moving some of their businesses to a country in the EU to get an ‘EU financial passport’. This would be particularly relevant for settlement and clearing as EU countries, and especially the ECB, would clearly want to maintain control under the EU law and framework. While a number of financial institutions have moved their operations from peripheral countries to London in the years leading to monetary union, I doubt there would be an opposite flow this time. If anything, the first location of choice would be Frankfurt and then Paris, and possibly even Luxembourg, , but it is far from obvious that this will happen. For instance, Borsa Italiana (the Italian Stock Exchange) is part of the London Stock Exchange, but its operations in Italy are still subject to domestic regulations and the business is run according to a federal model. The only big advantage of a pan-European platform is ease of access and broader participation by international investors, and this is unlikely to change with Brexit. With ongoing discussions between the London Stock Exchange and Deutsche Börse, there would be a chance to develop a truly EU platform, which would make it easier for companies to raise capital and for investors to have easy and cheap access to markets. A Brexit would, by and large, be irrelevant in this regard. An exception could be wealth management and distribution of financial market products. Yet, a Brexit would not significantly affect these types of activities. The single market for financial services is still largely not operational, except for some wholesale activities, and thus the potential damage is limited. The UK is the leading destination for FDI into the EU, with the largest number of projects, the largest net inflow, and the largest stock in 2014 (latest available data). The stock of inward FDI, i.e. the amount of foreign direct investment in the UK, reached £1,034.3bn (€1,283.3bn), with a net inflow of £27.8bn (€34.5bn) and earnings of £52.3bn (€64.9bn). Of the stock of FDI into the UK, the EU account for 59% or £608.7bn (€755.2bn). 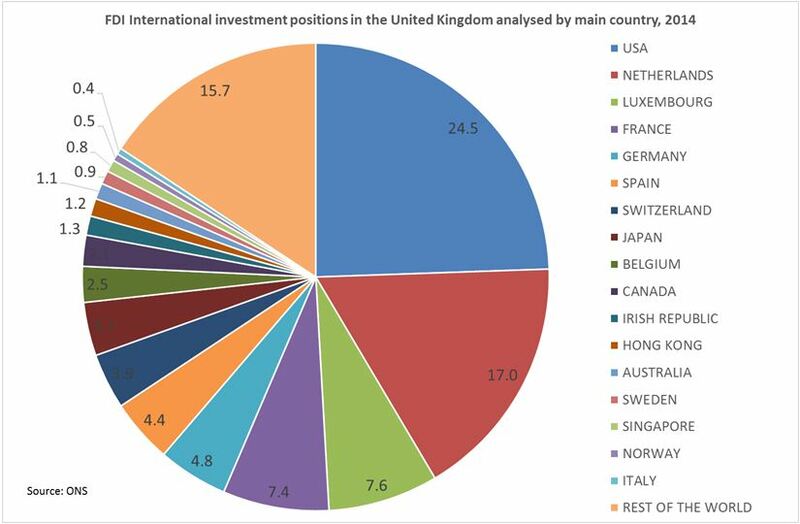 The most important countries for the stock of investment into the UK are the Netherlands (£176.0bn, €218.4bn), Luxembourg (£78.9bn, €97.9bn), France (£76.0bn, €94.3bn) and Germany (£50.1bn, €62.2bn). 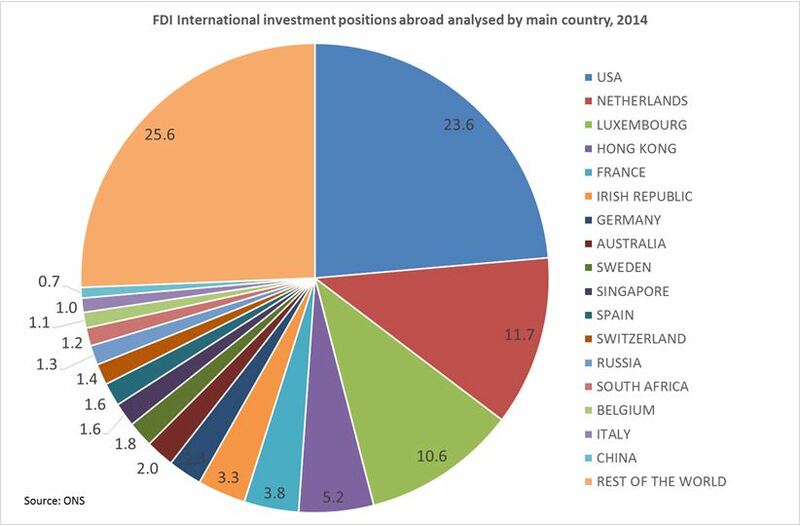 The EU’s foreign direct investments into the UK are huge. Moving to outflows, the UK has reduced FDI into the rest of the EU during the crisis. UK companies have repatriated investment made abroad by £79.9bn (€99.1bn) in 2014, for the first time in the past 10 years, due to some re-shoring of business from abroad. The outflow was at its peak in 2007, before the crisis, at £159.1bn (€197.4bn). The total UK investment position abroad amounts to £1,015.4bn (€1,259.8bn) in 2014, up from £696.1bn (€863.6bn) in 2005, and 1/3 is in financial services. The most important EU countries for UK FDI are the Netherlands (£118.8bn, €147.4bn), Luxembourg (£108.1bn, €134.1bn), France (£38.2bn, €44.9bn), and Ireland (£33.8bn, €41.9bn). Net earnings from foreign direct investment was £65.9bn (€81.7bn). Overall, the investment link of the UK to the EU is strong. Moving from investment to trade flows, all current EU trade Treaties with the rest of the world would no longer be valid for the UK and would have to be renegotiated bilaterally, including a new one with the EU. Trade policies are centralised in the EU. There are currently PTAs (Preferential Trade Agreements) with more than 50 countries and ongoing negotiations with more than 70 countries, and about 85% of UK trade fall under these PTAs. Negotiating trade agreements would not be easy and may take a long time. The EU’s interest in closing the bilateral deal as soon as possible would not be as strong as the UK’s. EU-UK trade would represent only a small portion of the EU’s trade with the rest of the world, while, for the UK, it would be a big chunk. In other words, the UK would lose an important bargaining chip. At any rate, it would be in the interest of both parties to maintain open flows and current arrangements to the greatest extent possible, but it would be wrong to conclude that this will necessarily happen. In case of a decline in trade, the EU would lose out as well, but the UK would feel the bulk of the negative impact. There are strong bilateral trade links between the UK and the rest of the EU. The UK mainly imports from the EU and exports to the rest of the world, with total trade (sum of exports and imports) at £1,003.9bn (€1,245.5bn) and a trade deficit well in excess of 6% of GDP. 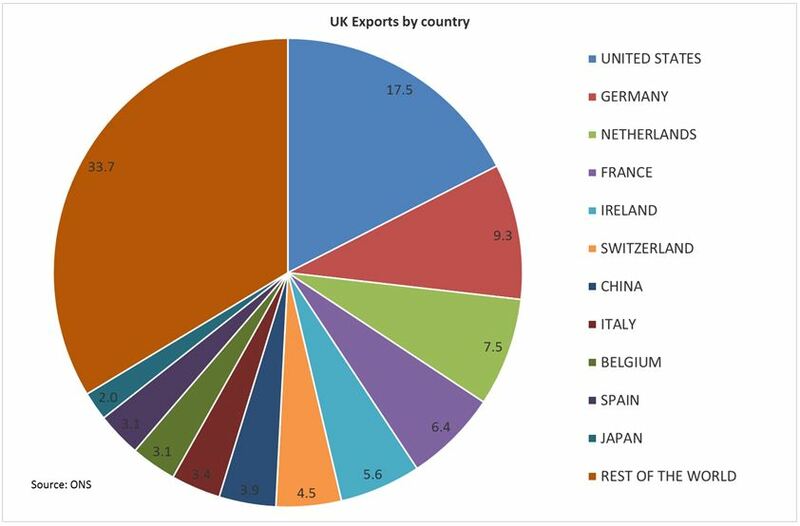 The EU accounts for almost 47.9% of UK exports and 55.2% of UK imports. Main EU destinations of UK exports are the Germany (£44.9bn, €55.7bn), Netherlands (£36.0bn, €44.7bn), France (£30.9bn, €38.3bn), Ireland (£26.9bn, €33.4bn). 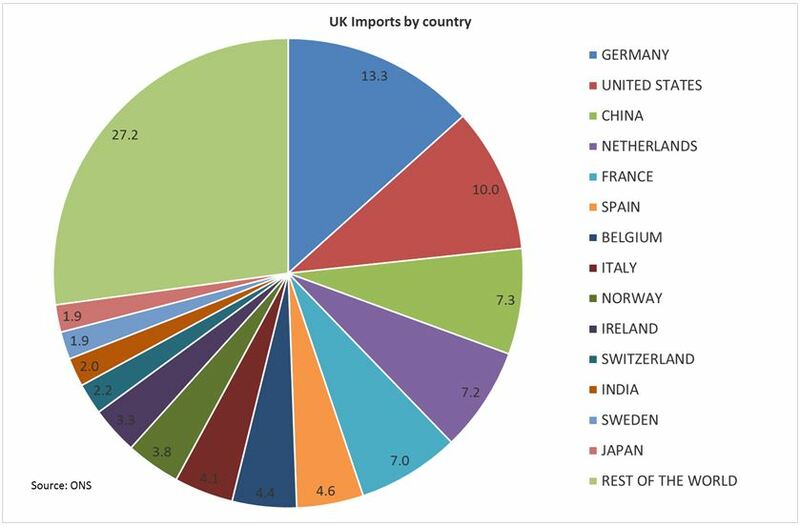 Main EU countries of origin of UK imports are Germany (£69.8bn, €86.6bn), the Netherlands (£37.7bn, €46.8bn), France (£36.8bn, €45.6bn), and Spain (£24.0bn, €29.8bn). It is clear that, if trade agreements were to change substantially for the worse, this would inevitably lead to lower trade flows. However, EU manufacturing would still have unlimited access to the UK markets courtesy of World Trade Organisation rules. On the other hand, the UK would have to negotiate access to the single market for its service industries. It is unlikely the UK will be granted terms more lenient than the association agreements the EU has with Switzerland or Norway, in which all EU single market standards and regulations are effectively accepted without any host-country input in the decision-making process and all relevant pieces of EU legislation are converted into domestic legislation without consultation with domestic voters. On top of that, the UK would have to continue to contribute to the EU budget. Any more concessions would undermine support by lukewarm EU Member States and would risk demand for renegotiation on their part as well. However, accepting the same status as Switzerland or Norway would run totally against the spirit of the referendum, i.e., bringing back sovereignty to Westminster. 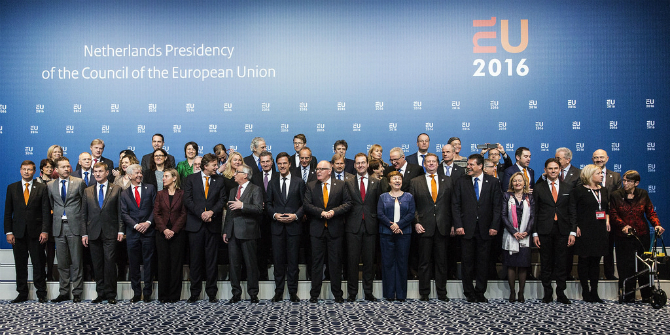 Would the rest of the EU become a less business-friendly environment? A shift to more regulation and less liberalisation or a loss of momentum for the single market may indeed become a big negative for the rest of the EU. At the margins, this might well be possible, as the forces in favour of a more business-friendly environment may lose out. Still, for those familiar with decision-making in Brussels, nothing can be taken for granted. This expected UK attitude is sometimes more a myth than a reality. The decision-making process in Brussels responds to very complex and sometimes not obvious logic beyond the mere weighting of forces for or against pro-business reforms. For instance, in some areas, the harmonisation of standards may proceed faster in the case of Brexit. While, in theory, Brexit may lead to a less business-friendly environment in the EU, this needs to be assessed on the ground in practice. A ‘leave’ decision would risk producing immediate negative consequences for the financial markets, with an increase in volatility and uncertainty. It could be perceived as a colossal no-confidence vote on the future of the EU, dwarfing the outcome of the Danish referendum on the Maastricht Treaty in June 1992, which triggered a currency crisis. The reaction of financial markets is difficult to predict and may include a weakening of the Pound Sterling against the Euro but also a weakening of the Euro against other currencies and Euro-denominated assets. Conversely, the opposite reaction, i.e., a strengthening of EU assets, cannot be ruled out since the UK leaving would be perceived to free the rest of the club to pursue ever-closer union, improving the long-term economic outlook. However, in my view, the latter is far less likely. It is also conceivable to expect the most vulnerable areas of the EU to be affected the most. Government bond yield spreads and equities, and especially bank stocks, of peripheral countries would be under pressure again, although ECB’s OMT and QE should put a lid on any possible tension. At any rate, the safety nets introduced in Europe following the economic and financial crisis of the past few years should help making sure that any potential negative market reaction remains contained, manageable and temporary. This may well happen if it does not become a catalyst for more deep-rooted phenomena. Could a Brexit become a catalyst? Yes, it could. The Pound Sterling has already weakened on potential Brexit risks. This effectively exposed the twin deficits problem in the UK, with the current account deficit being more than 5.0% and the public deficit more than 4.0% of GDP. Can Brexit expose cracks in the EU construction as well? I think there is a big danger of that, at least in the perception of financial markets participants. Brexit would expose the inability of the EU/Eurozone to take stock of the crisis and move quickly in the direction of further integration while getting everyone on board. It would show that the current architecture is not conducive to a strengthening but rather encourages centrifugal moves. In this sense, Brexit could indeed be perceived as a catalyst. Moved by fear and greed and obsessed with potential herd behaviour, financial markets would certainly not wait for proof of the opposite. Is a Brexit already priced in? Probably not, in my opinion. A Brexit victory would have an element of surprise, although big moves in financial markets usually come only from totally unexpected events and the risk of Brexit has been on the table for a while. On politics, a ‘leave’ victory would risk opening up a Pandora’s box filled with recriminations, other countries’ attempts to break free (Poland, Hungary, the Czech Republic, or even Finland and the Netherlands, which are in the Euro Area), and separatist tensions (including Scotland), and it would strengthen the populist and Eurosceptic parties and movements within each country. This may lead to an even more fragmented and divisive stance in the EU on a number of issues. The potential political backlash would by far be the most dangerous one. In the case of a Brexit, and if the ‘remain’ vote were strong in Scotland as many expect, there could be a call for another referendum on Scottish independence, following the one in September 2014 that narrowly decided against it. Moreover, a precedent may embolden separatist movements in several Member Countries and lead similar initiatives from other countries, most likely in a not-too-distant future. Supporters of a Brexit do not condone the sovereignty already given up in areas considered the EU’s domain. Their objective would be to bring sovereignty back to Westminster. However, in a world that is increasingly integrated, where the role of the UK is much smaller than in the past, it would be odd for both the UK and the EU to not find an agreement that preserves openness of markets and effectively continue to share some sovereignty. Sharing would remain important anyway, be it the result of a more loosely linked EU or any arrangement with international organisations. A Brexit would only make the recognition of international inter-linkages more difficult. To be fair, one UK concern is understandable on one point. Since November 2014, with the Lisbon Treaty, Eurozone Member States acting together as a bloc, would have a qualified majority in the Council of Ministers. This means that the interest of the Eurozone would prevail against that of non-Euro Members and, at least in theory, Euro Members may force decisions at the EU level. This calls for some guarantees for non-Euro members of the EU. These concerns would, however, be best addressed formally, under a new Treaty. Another important issue is the explicit exemption for the UK from any ever-closer union negotiated in the EU, according to February’s UK-EU deal. While the UK is not part of the Euro Area, for which closer union mostly applies, this explicit recognition would effectively limit any initiative for the entirety of the EU that could be defined as attempting to achieve closer integration. Some argue that having this explicitly recognised would strengthen the UK’s position in any negotiation. This clause could be invoked whenever an initiative is perceived to go against the principle that the UK cannot be forced into further integration. Even if the UK leaves the EU, the February deal opens the door for opportunistic behaviour and centrifugal forces from other Member States. The principal of the UK-EU deal can be re-affirmed and used as a negotiating tool for any other country in the EU opposing specific initiatives to strengthen the EU architecture and governance. Even in the case of a Brexit, it would still be a precedent. It is not clear whether a narrow win by the ‘remain’ supporters would be beneficial for the rest of the EU either. It would expose the fragility of the construction. Internal opposition in the UK would probably shift strategy but the objective would remain the same—to bring sovereignty back to Westminster. This may continue to cause problems in the relationship with the EU. Any EU attempt to strengthen integration would continue to face UK opposition. Moreover, it is not clear whether this referendum mess would make it any easier for EU institutions to move forward. Could Brexit become an accelerator to further integration, if not at EU at least at Euro Area level? There is a line of thinking effectively saying that the EU without the UK would be a much more cohesive club. In theory, this would indeed be the case. However, we should not underestimate two factors: (1) the EU, as opposed to the Euro Area, has become a substantially looser link, especially after the UK deal effectively introducing the principle that EU participation does not lead to ever closer union, and (2) even the Euro Area does not appear to be particularly eager to move faster toward integration. Note that even today, without a Brexit, there is nothing stopping the Euro Area from moving towards closer integration. Yet, even mildly integrationist plans such as the Five Presidents Report have been, to some extent, already put aside. There is not enough commitment and political will to move to the second stage, which would lead to fiscal and political union. In other words, Brexit might not make strengthening of the Euro Area integration process any more likely. Indeed, the exact opposite could be argued. By bolstering separatist and Eurosceptic movements within each country, Brexit would effectively put a brake on further integration not only in the EU but also, and more importantly, in the Euro Area. The EU and the Euro Area may remain stuck in the mud, still searching for their soul, and the UK referendum may expose all their weaknesses. This article gives the views of the author, and not the position of BrexitVote, nor of the London School of Economics. Image Rijksoverheid/Valerie Kuypers. Lorenzo Codogno is Visiting Professor in Practice at the European Institute and founder and chief economist of his own consulting vehicle, LC Macro Advisors Ltd. Prior to joining LSE he was chief economist and director general at the Treasury Department of the Italian Ministry of Economy and Finance (May 2006-February 2015) and head of the Italian delegation at the Economic Policy Committee of the EU, which he chaired from Jan 2010 to Dec 2011, thus attending Ecofin/Eurogroup meetings with Ministers. He joined the Ministry from Bank of America where he worked over the previous 11 years and he was managing director, senior economist and co-head of European Economics based in London. Before that he worked at the research department of Unicredit in Milan.